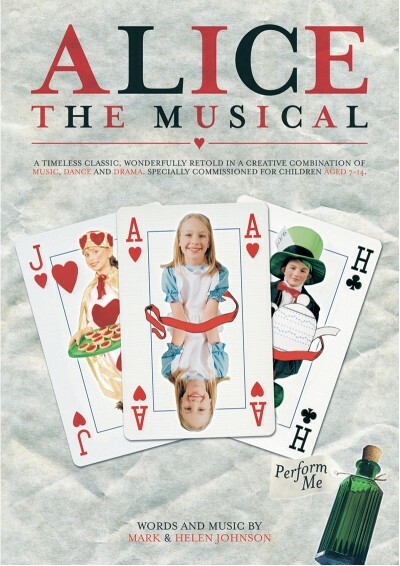 Alice The Musical is a brilliant musical production based on Lewis Carroll's timeless classic Alice In Wonderland. Incorporating a creative combination of song and dance, narrative and drama this primary school musical is sure to be a big hit with children and parents alike! Now available with Words on Screen™ v2. This enchanting Alice in Wonderland musical offers opportunities for solos, unison and 2-3 part singing in a wide variety of musical styles. It features composition and improvisation activities that allow children to interact with the score and the script. This musical adaptation of Alice in Wonderland for primary schools isn't just charming to watch; it's easy to coordinate, too. 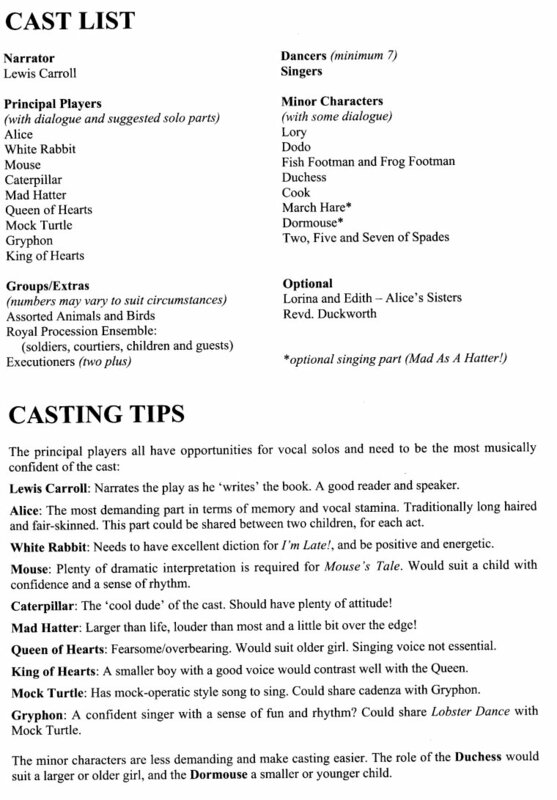 Our Alice The Musical packs include piano music, lyric sheets, casting tips, staging notes, song recordings and backing tracks. This is the perfect end of year show for a quirky class. 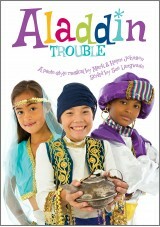 The characters, songs and storyline capture the imagination of every child (and audience member). The work the children produced alongside rehearsing and performing this show was of the highest quality. This is one of the best end of year shows I have been involved in. This year we picked this play for our year 6 leavers play. I would really love to be Alice. We have only listened to a few songs so far but they all sound amazing. We have been told that there are going to be 2 Alice's and 2 Lewis Carrol's because they have so many lines and stage time. Overall this is an amazing play and I am so excited to find out what our parts are in 1 week!!! I got the part I wanted! I left a review about a month ago and today we found out our parts!! I am the Mad Hatter! I don't have that many lines but I have a very big song to sing. I am so excited but nervous! This is a brilliant play we are doing this for Year 6 leavers but we have had to change the script around a bit because we thought there was a Tweedle-Dum and Dee we also skipped some songs and bits of script but it is a extremely good play. As we only have 27 children doing our play this year some people have to play multiple parts which is quite good and the songs are pretty easy to learn. 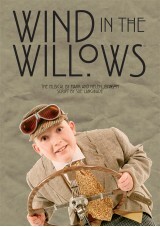 I couldn't recommend a better play to do for our year six production!! I love alice the musical! It's good there are so many songs as I love singing and it's fun playing the mock turtle because he is a humerous part with lots of lines and two solo songs! I can't wait for our performance in July and I wish my colleagues (cast!) the best of luck! I cannot wait to start doing this play! I so want to be the mad hatter!!!! I thoroughly enjoyed being musical director for the Year 5s and 6s production. The children really enjoyed the songs - and younger children in school have also been heard singing the Croquet Song and Beautiful Soup! Caucus Race was terrific - parents loved it. A great mix of songs altogether and lots of scope for creative parents to make great costumes & backdrops. We are doing this production at our school and I really like it! I am the Cheshire Cat but why am I not on the character list? The songs are really good and I especially like pig and pepper! Our performance is on may 29 and I am so excited! This production/musical is the best ever! The songs are so good but so easy to learn! The script is amazing and doesnt need any changes. nHowever, there are a few things that let this play down. The script was very hard to understand, even when you have made changes. Also, parts in the play, like the doormouse (the part that I have), have very little lines. 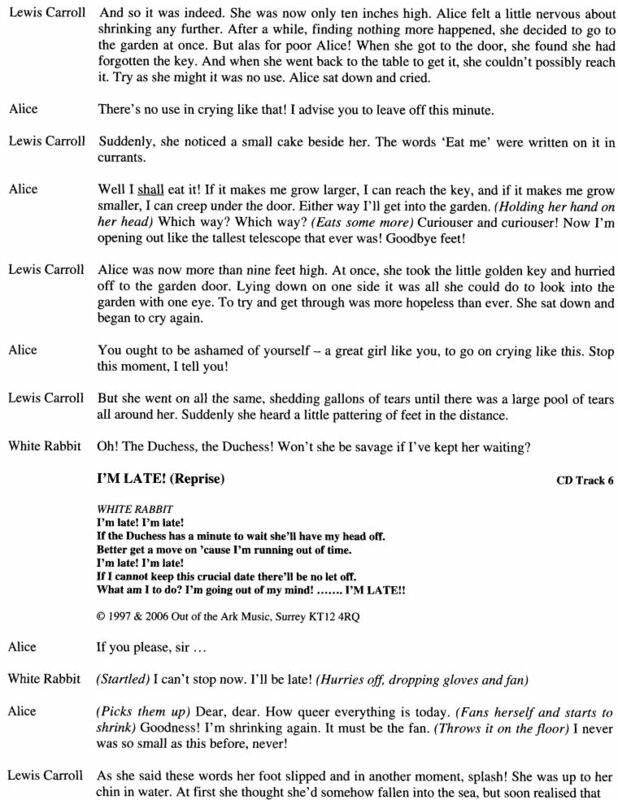 I found this very upsetting to think that Lewis Carrol and Alice have so many lines, where I only got two lines!nOverall, I reckon that this play would be suitable for year 6 leavers (like myself) and would recommed it. this play is mad ! (in a good way ) i would recommend having 2 alices as there are sooooo many lines and alot of people might want this part. Unfortunately alice in the second half doesnt have as many songs or lines though. I auditioned for the white rabbit but i didn't get it, still, i'm the doormouse, who doesn't have many lines. My teacher might give me a solo and add some lines for me and the boy who's playing the cook. nOn the whole, quite a good play! There had to be 6 Lewis Carrolls and three Alice's because they had so many lines! 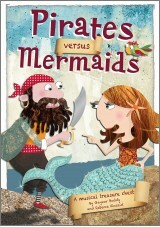 nI think this is a good play for year six leavers, like me. I was alice for the 1st part its really good and i remmebrred all the words! I did this at my school and played Lewis Carrol. We did change the script a little, but it was good all the same. At my school we are doing this version of alice the musical, so far i have enjoyed it so much, i am the mad hatter and i love my part. overall this script is marvellous and really reccomend it. I was alice in first half of this play and i loved it! The songs were amazing! It was a really fun and great play to do! hello dad!!!! i love this thing and please check your reviews for this!!!!!!! The best production I have ever seen! I did this muscial with my year 6 class as our end of year leavers' production. It was amazing. The children absolutely loved it. I would thoroughly recommend it, particularly for this age group. The songs are infectious, the script easy to learn and very funny. The suggestions for scenes and props really, really helpful. The incredible comments from the audience were along the lines of "the best production I have ever seen" and "an absolutely stunning performance!" Buy it now!!! You won't regret it!! Im the mad hatter and i absoloutley LOVED this! My son was in this last week as part of the chorus line and I have to say how absolutely fantastic this play was. I have to take my hat off to the young lady (year 6) who played Alice and also the lad who was mad hatter! 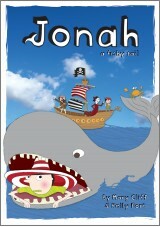 If ever there has been such a funny play which even the youngest audience could appreciate. Well done to the production team and a wonderful cast. An absolutely perfect year 6 musical- they loved it! The songs are superb. This book is really good.My school are doing this for a play and I'm the Cheshire Cat. Alice is a really great play.nIt has been preformed twice at the school and it was GREAT. nIt has awesome music and a great opportunity for solos. After attending a Work Placement, as part of my decision to attend a Teacher Training course, I found that this Musical was a perfect end to the school year. I would recommend this to anybody who wants to perform Alice as part of either a class or choir assembly or performance.nnWell done. An extremely fun play to put on with songs I will never forget.My favourite is Caucus Race but I will always rember Wonderland. Thanks Mr.Cross for choosing such an amazing play. I recently enjoyed my job as Musical Director of a primary school's adaptation of 'Alice the Musical'. I found that the piano accompaniments were very pliable and that where more appropriate, the backing tracks were very fitting. Absolutely wonderful and original songs and script kept the audience upbeat and entertained throughout! Well done again 'Out of the Ark'. it was a great play to do at school it was so much fun i got the part of lory who is a parrot my costume was pink and orange i loved it and everyone looked so cool.